First of all a let me say this; fruit trees do not need to be pruned to produce fruit. The fruit production of a tree is a natural occurrence which ensures the survival of a tree. That means a gardener may choose not to prune and on that note why prune fruit trees at all? 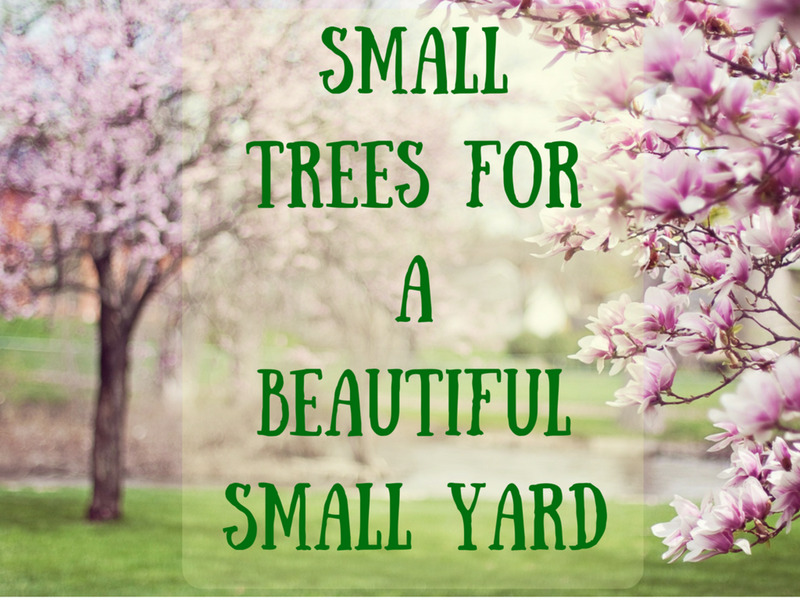 Non-pruned trees, especially young trees will crop they will grow branches galore and push through blooms year-by-year which in turn will become fruit but the competition for nutrition is higher and the fruit will be smaller. This however can eventually cause damage to the fruit tree and instead of having to send nutrition to limited sturdy branches that are strong enough to support the bounty of heavy large fruit it will sprout forth many thin little sucker branch-lets. These branch-lets could eventually carry fruit but of smaller then normal size and inferior taste. So the reason to prune a fruit tree is to have healthy strong trees which when given proper care will successfully produce great fruit crops for many years to come. We also have to understand that it’s a proven fact that the ‘pruning process’ dwarfs trees, it reduces the total size of the tree. Let me explain that a bit better. The food-manufacturing mechanism of a tree is in its leaves. Cutting away some of the tree branches mean that the food productions or output of the "factory" is also reduced. This in turn obviously will also reduce the bearing area of a tree thus dwarfing the stature and production ability of the tree. This makes total sense as far as I’m concerned: any cut to a living organisms ‘body’ needs time to heal and will take strength away from its growth. And to prune a tree in the summer seems to have the greatest dwarfing effect. This is mainly because a tree has most of its yearly growing spurt during the heat of the summer. Here in Canada and I think it's like this most anywhere that the best time to prune a fruit tree is early in the spring while the tree is still dormant and before the growth activities begin. The pruning wounds also heal the best at this time and it's also easier to see the buds to be able to work around them. As the tree is dormant (not pumping sap up from the roots) the cut wounds have a chance to dry up with the help of the cold and the wind and another good thing is also the absence of insects that could cause damage. I'm a tool fanatic and it's all about having the right tool for the job. Over the years I learned that there is a tool made for every job, and tree pruning is not an exception. 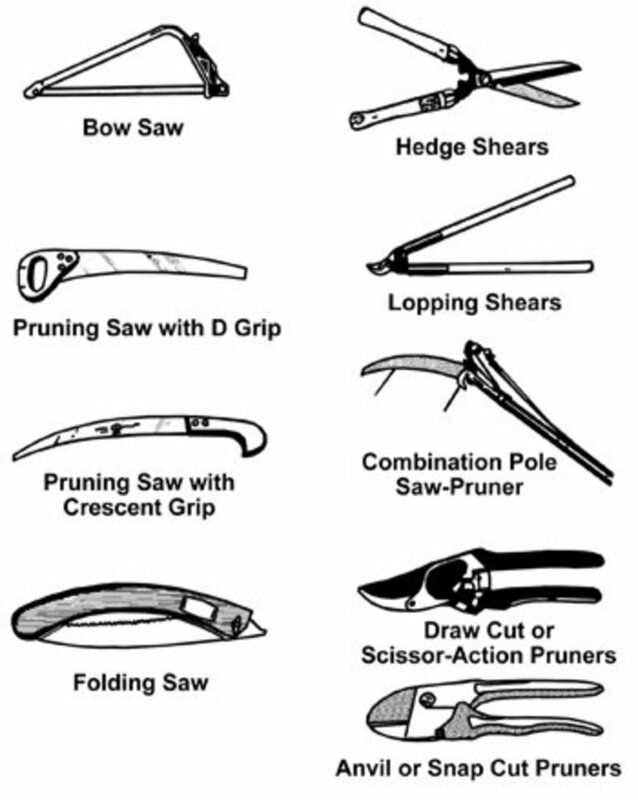 There is a large assortment of pruning tool available on the market. It will take time for you to find which tool will work the best for you. Whether or not you want to invest mega bucks into power tools really depends on the size of your "orchard". To prune two trees every year (as far as I'm concerned) doesn't warrant buying a 74cc 18"bar Husqvarna or Stihl chainsaw (sorry guys).For most jobs hand tools such as clippers, shears, knives, saw and pole pruners will do just fine. The ideal pair of pruning shear or hand clipper is lightweight and makes clean cuts that can heal over quite easily. I own a couple of different sized ones and I carry one pair with me all the time when in the garden or yard. That way I'm able to snip off any suckers etc right away when I notice them. Personal preference will determine which kind of shears fit best into your hands. Long-handled lopping shears will give extra leverage to reach taller and thicker branches. Tree pruners, these are simply clippers mounted onto a pole end and activated by rope and springs, also come in handy for cutting those really high branches. And for larger tree limbs you will need a pruning saw which also comes in a variety of styles from curved to straight bladed etc. A good rule of thumb that I learned from my Gramps is that a branch that is thicker then an inch in diameter needs to be cut with a saw. Maintenance of tools: To keep most blades sharp use a whetstone or grindstone. Clippers need a drop of motor oil to keep them working smoothly. Unless you know the exact degree of the saw teeth it's best to get the saw sharpened by a professional. For over-winter storage keep all your gardening and pruning tools clean, well oiled in a dry place. Arms: The main branches or extensions of the trunk. Bearing tree: A fruit tree that has reached the age where its ready of producing blossoms and fruit. Bud: The slightly enlarged portion in the node region from which shoots grow. Central leader: A type of pruning where the grower chooses one single strong trunk from which all side branches are allowed to grow. 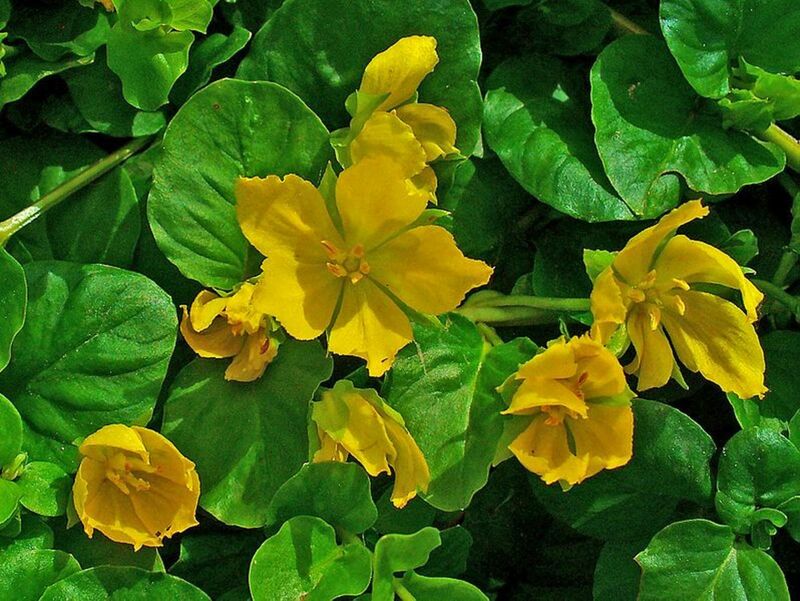 Disbud: The selective removal of swollen flower buds or young shoots so that the remaining buds can grow bigger. 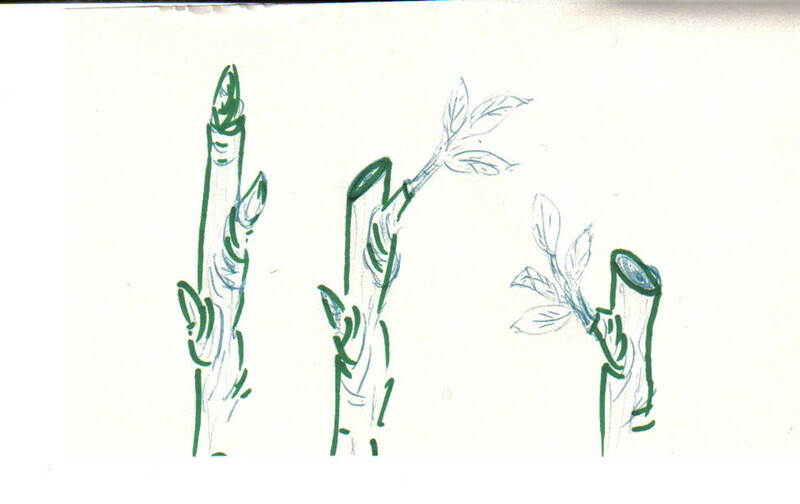 Fruiting wood: Shoots or branches that are selected for their size and cut back and have the potential to bear the current year's crop. Head: The part of the trunk or extension, above the first growing branches or arms. Heading back: Cutting a portion of the terminal growth usually to control the size of the tree. Internode. The portion of a shoot between two nodes. Laterals. The side branches of a shoot. Node. The joint on a shoot where buds and leaves are found. Pinching. 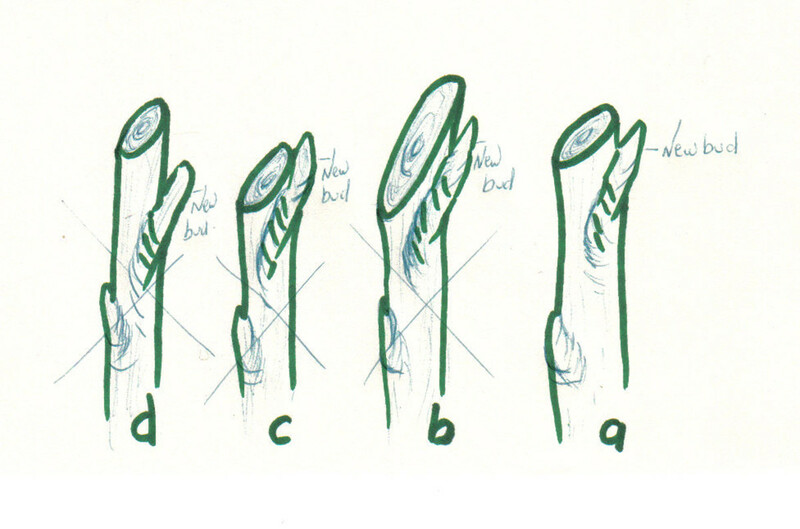 The removal of the growing tip of a shoot by pinching between thumb and finger. Pruning. The removal of excess parts above ground. Renewal spur. A spur that produces shoots for the next year's fruiting. Shoots. The new growth that develops from buds during the growing season. 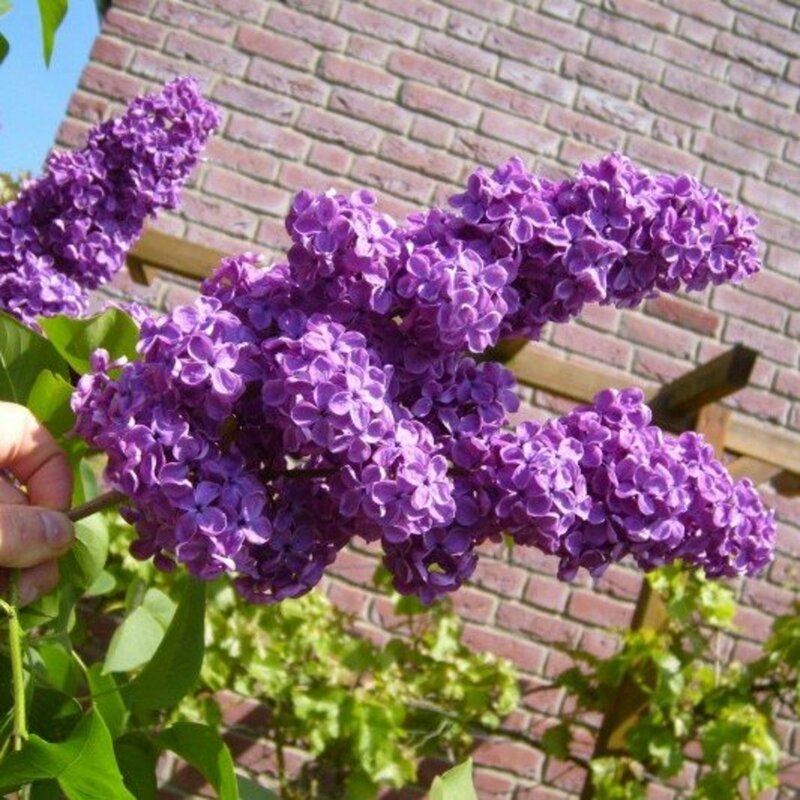 Spur: A short thick growth that produces flowers on apple, pear and cherry trees. Stone fruit: Plums, peaches, apricots and cherries are most commonly know as stone fruit. Suckers. Vigorous shoots growing from below the surface of the ground from the rootstock. Terminal bud: The bud at the end of the branch that extends the growth of the tree. Thinning. The removal of flower clusters, immature fruit clusters, or their parts. Training. The direction or form given to a young vine as it grows, usually by attaching it to a mechanical support. Trunk. The main body or stem of a vine. Vigor. The rate of growth of a vine part. Watersprouts. Vigorous shoots growing from buds usually on the trunk or older branches. To keep a tree healthy and productive to the ultimate these above mentioned sections are the most important to trim off even though it might feel like a shame to prune off healthy and good looking new growth.To do the job just right it's important to know when, in what season to prune, what to cut away, how much to cut away and how to do the cutting. The main objective when pruning is to make clean cuts without leaving any stubs. A stub will rot and make the branch vulnerable to infections that eventually can spread throughout the rest of the tree. As in the drawings either cut close to the main branch or just above the bud. A bud on the outside of the branch will grow out (which is preferable), one on the inside will grow in towards the center of the tree (which usually is not a desired direction except again on an espaliered tree). 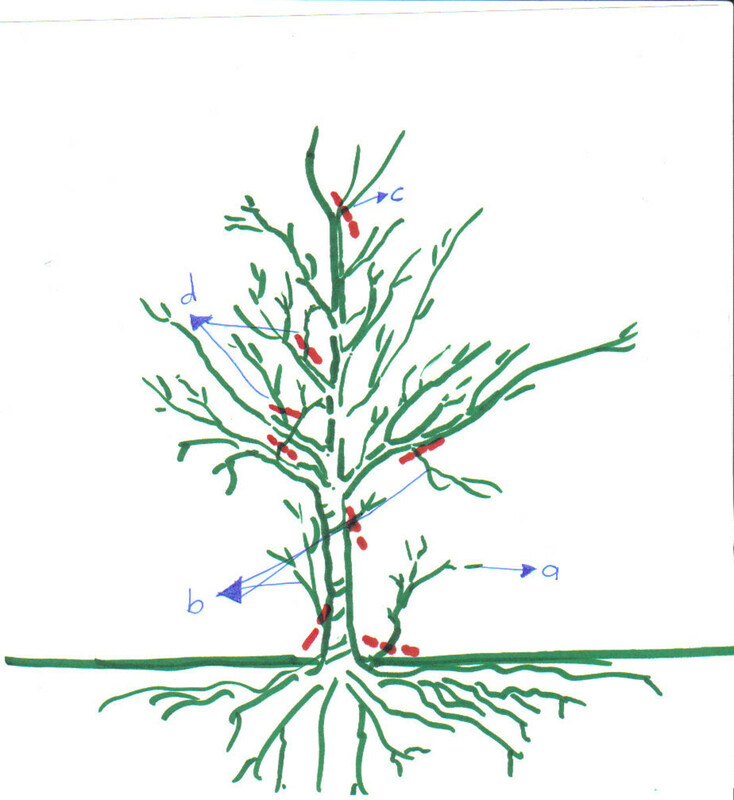 rem: of the 4 branch combo drawing displayed above 'a' is the right way to prune off a branch-let. Always work from the larger branches first then down to the finer cuts. Talking about cutting off larger limbs there is always a danger of the weight of the limb splitting before it is completely neatly and cleanly saw cut. (split damage can often leave the woody parts without bark therefore unprotected.) Use this three step method to prevent damage. 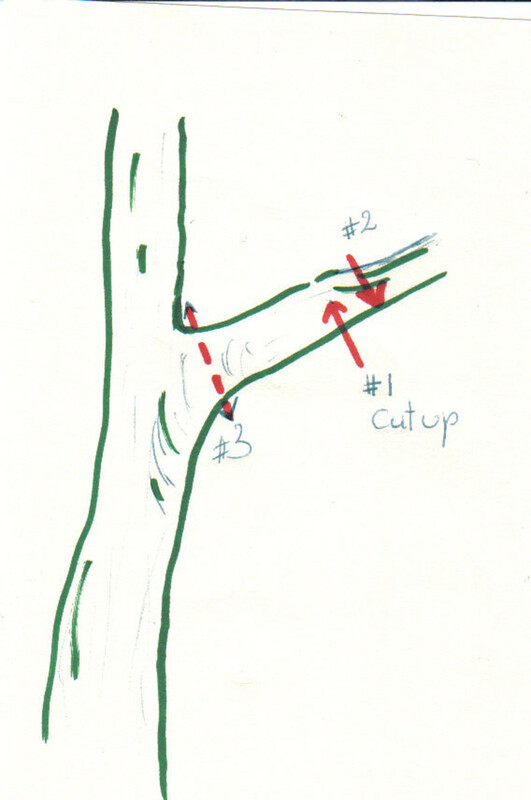 2) Make the second cut from the top down 2-4 inches further out on the branch, this time cutting all the way through. The limb will break off but the jagged edge will go no-farther then the first cut. 3) Now you can cut the remaining stub almost flush and parallel to the tree trunk. This ensures that the tree bark doesn't loosen up near the wound and allow for moisture and bugs to go in-between the bark and the woody parts. It is said that only cuts that are over 2 inches in diameter need to have a protective wound dressing. I disagree and I cover all cut with a bit of dressing. The main reason for using the protective goo is to keep moisture and bugs out. The ants and bugs I have in my neighborhood are not picky and I'm almost positive they have not spent the time to read that section of the manual. The tub of protective goo, a commercial tree-paint preparation which contains an antiseptic, that I bought about 3-4 years ago came in a 2lbs size and cost less then 10 bucks. Even if I keep covering every wound and cut of the trees around me I think I should have enough for the next five years. The healing is much accelerated and even if the wound is treated right away I still give the larger cuts a repainting every fall and spring. A young fruit tree when first transplanted should have a severe pruning all the way down to a mere whip. 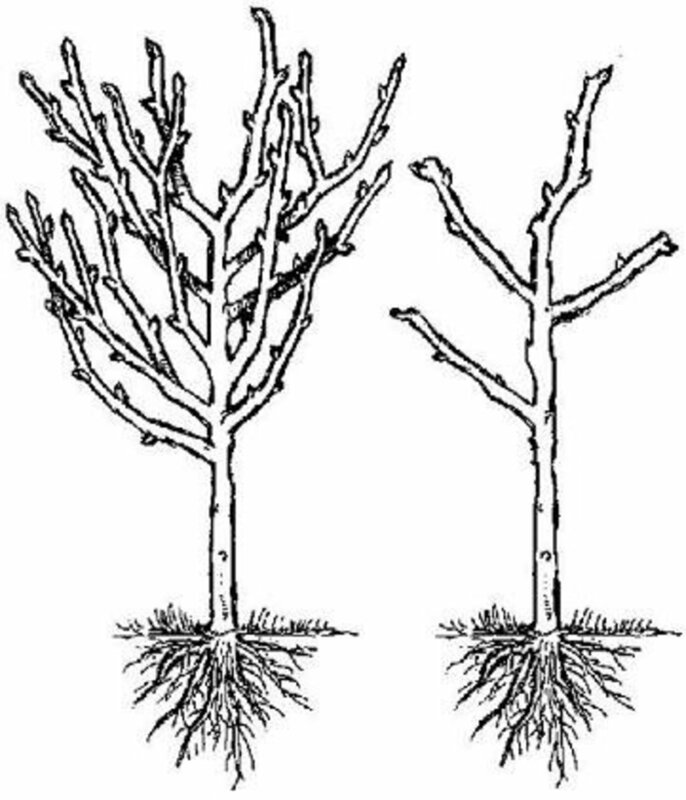 The second and third year very little pruning needs to be done, only the occasional sucker coming up from the root system and to bring it into the 'head shape' wanted. During the second and third year it's important to prevent bad crotches from happening, to keep a strong central leader and to make sure the tree doesn't become too heady (too wide) or too leggy(too thin and tall). Also over pruning at this time will delay fruiting. After the tree begins to bear fruit more pruning will be needed so that the branches stay well balanced around the whole of the trunk. Cutting back and thinning out the lateral branches will keep fruit production to its ultimate. What did you use on the cut wound? Using a pruning sealer can actually obstruct trees’ natural healing power. Tree pruning sealers are bad for your trees because they make it harder for your tree to heal as they trap in moisture which can then encourage wood decay or fungi. If you're adamant on using a pruning compound, buy it from a reputable garden center and read the contents before using. Also, only apply a very thin coat. A great article, thanks gf! Beth, thanks for taking a look and for commenting. Sorry it took so long to reply I was away. As for your granny smith... well... I haven't had much luck with suckers groing any amount of fruit. If I were you I would invest in another tree but leave the old one also for a couple of years to see what it does as I'm always reluctant to cut out anything still alive. It might just have a really good root system that will supply the suckers with the right nutrients to actually become a bearing "tree". My Granny Smith apple tree is dead,but there are suckers that are alive and well,and look great. Should I cut the main tree down,and allow the suckers to grow? I see that you suggest trimming in early spring. This past Spring my husband gave our cherry tree a huge pruning. Our tree was about 20ft tall and 20ft wide. He reduced it to about half. We also put in an egress window next to the tree, so the roots were cut on one side also. The tree produced about one small bowl of cherries this year. The tree has a lot of new growth. I have two questions for you. When should I cut off the new shoots? Fall or Spring? Should I cut off all the new growth or leave a percentage of it? My husband did leave a few smaller old growth branches that will have leaves. Thanks for all the great info in this Hub. Thanks Zsuzsy - I'm not expecting much if any crop of apples this year - just wanted to save the tree more than anything. quester.ltd (love the avatar) thanks for taking a look and for commenting. Glad you were on the right track, it can take a growing season or two before you realize that you've done something wrong. The first trees (an old orchard that was on the farm) I pruned on my own took a year to recoup as I had cut them down too much... (very few apples that first fall but eventually it turned all for the good because the apples grew really huge the third year and plentiful too. Zsuzsy Bee - Thanks for the tips - we had followed your instructions before I found them so I glad to know we were on the right track. Hiya Terri, thanks for taking a look and for commenting. Pruning can be a big job but it helps pass the time until spring. Fantastic information. I'm about to embark on some fruit trees and will keep this on hand to help them thrive. Linda neglected trees are always a challenge mainly because most of us do not want to take the pruning down to as much as we should the first time but even a partial pruning will benefit the trees a lot. Thanks for the visit. Dave I'm glad I was able to help a bit. Thank you for reading and for commenting. And I thought I knew everything about pruning fruit trees, but I've just learned a little more. Many thanks. George, thank you for taking a look and for commenting. Hello there yes you have a great blog here very straight forword and lots of knowledge and helpful ideas and hints.I'll come back again for sure. RTalloni thanks for coming by for a visit and for commenting. Glad the hub helped. Have been looking for good clear instructions for pear and apple trees. This is very helpful and an interesting read! Thanks for good explanations! Wow, 18 foot tall...I stuck with the dwarf trees that way picking is much easier. Good idea, thanks. I do have crabapples there already for pollinators and they are very well established and are close to 18 foot tall. Hello Ralwus, always glad when you come for a visit. If I were you I would take a soil sample though before plopping in the fruit trees. The soil after the cedars might be a bit more acidic then they like. Coffee grinds and banana peels might just balance things out a bit. 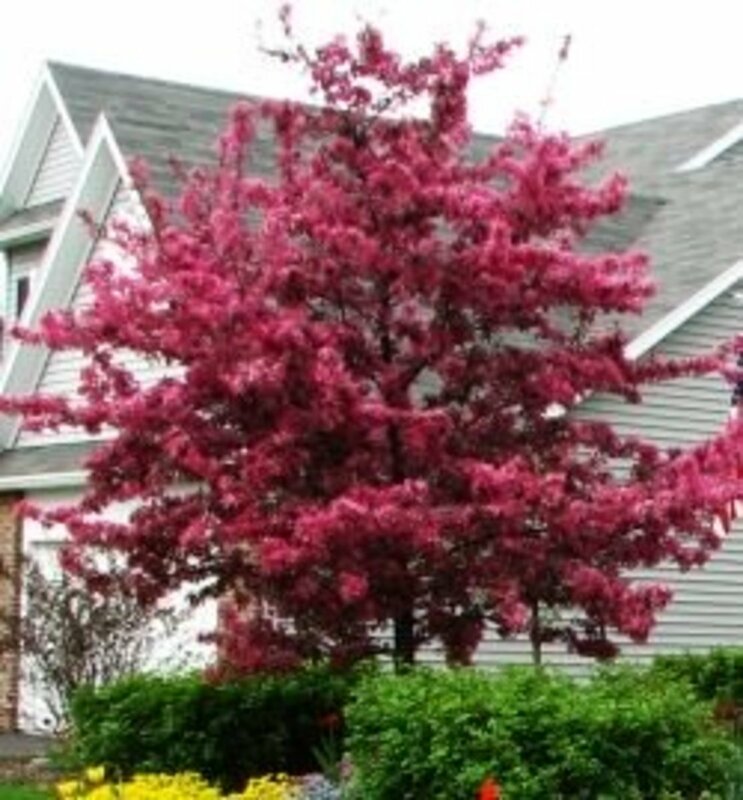 Cherry trees are on my list for next year, hopefully. Hi Britney thanks for taking a look. I'm getting a bit antsy to get into the garden too but it will still be another 6-7-8 weeks at least. It's time to start looking forward to blossoms and new fruit on the trees, isn't it? CompuSmart always glad when you came for a visit, thanks for taking a look and for commenting. Sorry I was away hence the delay in my reply. Fruit tree nursery thanks for taking a look and for commenting. Shawna thanks for taking a look and for commenting. Best of luck with your trees. Cool! Now all I need is to know how to grow them! and until then, in the words of arnie! This is the best comprehensive info I have read thus far. Books or internet. The first time I pruned an apple tree I over pruned it (ouch) it took two years to recover. Anyone who has fruit trees should read this! Wow, that is a ton of detailed info. I work at a fruit tree nursery, and we actually take pride in our pruning. We grow our trees in large 3 or 5 gallon pots to make sure the root system is strong and healthy. Then we prune them so that the tree gets more branches... more branches means more fruit! Also, since I work at a fruit tree nursery, I've noticed that with this difficult economy, more people are taking an interest to organic gardening and growing their own fruit. Not only is it cheaper, its safer too... because you're not buying fruit that's been sprayed with strange chemicals in some central American country. Foxility! It sounds like quite a bit of work but once you're out there trimming with the promise of spring just being around the corner it is actually fun. Also knowing how gorgeous the fruit trees are when they're in full bloom and then eating the cherries, apples and pears makes it all worth it. Packerpack! Thanks for taking a look and for commenting. Thanks for taking a look C.S.. I'm always glad when You pop in for a visit. Pruning and grafting trees was my Grandpas forte. He had trelissed fruit trees that were amazing. One grew apricots on one side and plums on the other. Another had red aplles on one side and a funny green and pink type on the other branch. Unfortunately a lot of his know-how was lost because as a stupid teenager I really didn't pay all that much attention to all his teachings. Great work on this pruning hub. 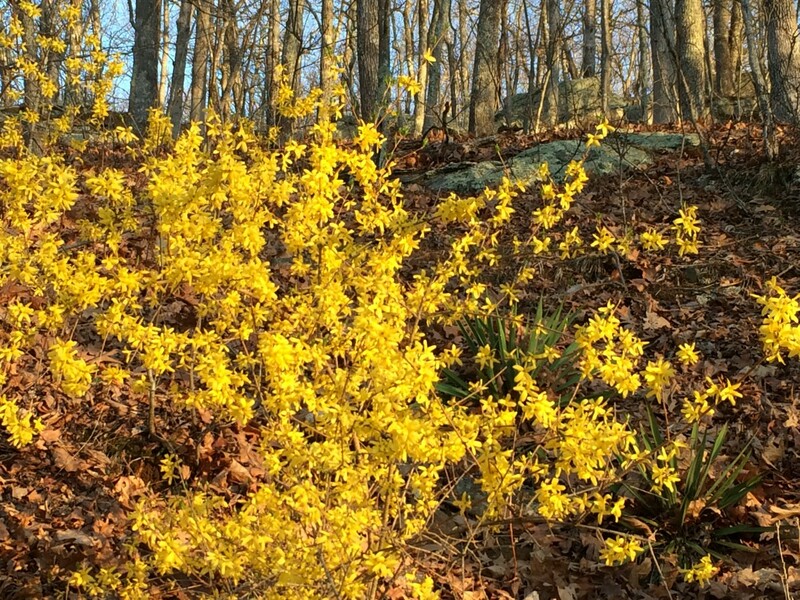 I think people often are afraid to prune or they go nuts and cut too much. 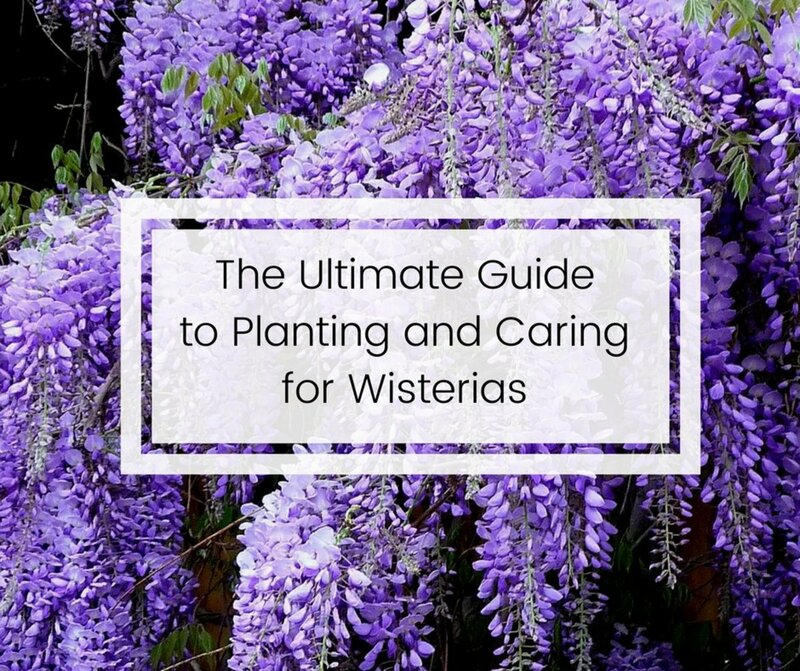 This is an excellent informative hub and should be bookmarked and utilized by anyone planning to get out the pruning shears. Zsuzsy great hub, you should publish this in Google Knol, it is like a Wikipedia article, every gardener should know. I don't have a fruit tree yet, but I do pruning in rose tree, it really helps and gives out more flowers, bigger and sweet smelling. Without pruning they compete and impede each other. Teton Rose! Always glad when you come by for a visit. Thanks for taking a look and for commenting. Great information! Thanks for making the art of tree pruning so understandable. I've read quite a bit about it but this was easier to understand. I'll be putting it into practice on my daughter's trees soon. Excellent hub, pruning is a skill and you have provided a solid step by step understanding of how to do it. Wow! That was fast reading I just published this hub a couple of minutes ago. Thanks for taking a look and for commenting. Great tips. I am thinking about buying some fruit trees this year so I will definitely be back to his hub!